Changi Airport Group and Carousell are investigating the sale of Jewel Changi preview tickets on the online marketplace. 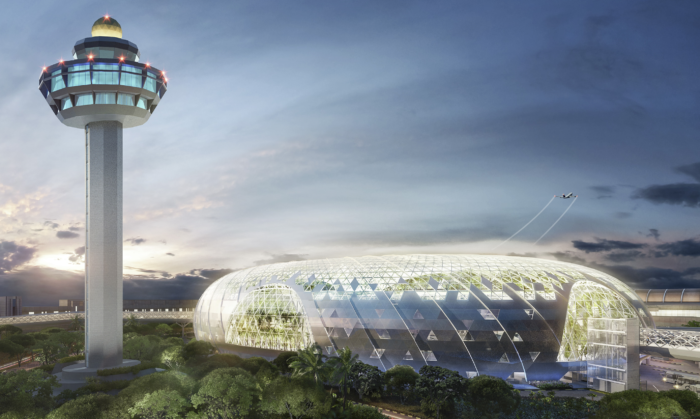 With the unveiling of the new Jewel Changi Airport in April, users on Carousell have been reselling the preview tickets for those who did not manage to book the slots in time. A quick check by Marketing however, saw that listings on Carousell for the sale of the preview tickets have been removed. According to The Straits Times, the tickets were either sold between SG$4 and SG$10, while some were listed as free of charge. The public preview of Jewel Changi is set to run in three-hour time blocks from 11 to 16 April. The registration for the tickets were opened last week on Tuesday. In a statement to Marketing, a Changi spokesperson said that the team is “assessing its options” with regards to the resale of tickets. Meanwhile, a Carousell spokesperson said that the issue was first alerted by Changi Airport Group which reached out to the online marketplace. The spokesperson told Marketing that it allows the buying and selling of event tickets as long as the transactions do not violate any laws, community guidelines and terms of service. In this instance, Carousell is working together with Changi Airport Group to take down the listings of Jewel Changi Airport preview tickets. “We are committed to building an ecosystem that places integrity as priority. As with every online and offline marketplace, there are always risks to buying and selling. We encourage our users to be cautious and practice due diligence when arranging any deals. Users should check that they have all the necessary information about a product before closing a deal,” the spokesperson said. “As a classifieds marketplace, it’s our mission to inspire everyone in the world to buy and sell and create more possibilities for each other. We are committed to building an ecosystem that places integrity as priority,” the statement added. The issue of reselling products and services on Carousell has been on the news lately. At the beginning of the year, Yakult straws were being sold on the online marketplace for as high as SG$1,000 and labeled as “vintage”. This came shortly after Yakult informed customers about eliminating plastic straws and said that it will work towards changing its plastic packaging. Prior to that, McDonald’s My Melody Holder, which was sold out islandwide was going at rates close to SG$30. The original price of the item was at SG$6.90. In a statement to Marketing at that point, a McDonald’s spokesperson said that the brand does not encourage customers to purchase the My Melody Holders for resale on the platform and the brand’s intention is for the My Melody Holders was to be “enjoyed” by as many customers and My Melody fans as possible. Speaking to Marketing, Prantik Mazumdar, managing partner of Happy Marketer, a Merkle Company said that ideally the 500,000 preview tickets were meant only for the early birds who grabbed them by signing up online and were not meant to be resold. However he added that in today’s world, it’s hard for the brand to prevent scalpers from reselling them for a profit. “Whilst Changi could enforce a checking system to ensure that only people who have directly registered on its platform are allowed to enter the premises, that would need additional resources and investments and I am not sure an event of this scale warrants that at this point in time,” Mazumdar said. He was also of the view that this will not impact Changi’s brand image as this is something beyond its control. “I am sure their T&Cs will clearly state that these free preview tickets are not meant to be resold. This also calls for customers to do their research before falling prey for such illegal scams,” he said. Kevin Ong, senior director, country manager SEA, Moni Group said that with the birth of a multitude on online platforms nowadays, brands should start exploring the channels that can reach out to its target consumers. “With many specific target segments of consumers nowadays on these platforms such as Carousell, I don’t see why brands should restrict themselves to be reaching out on it,” he added. According to Ong, as long as brands maintain its brand identity via these channels and provide customer service such as timely follow-ups on Q&As within the product chat, these could be “great” consumer touch points. Meanwhile, Charanjit Singh, managing partner, Construct Digital said resale of products can make a brand lose control over the agenda of why they were selling it in the first place. What was intended to be given for free could become something some people profit off. “It then becomes unfair to people who are legitimately interested in attending things such as the Jewel preview, or obtaining limited edition merchandise, – because they are now competing with ballot winners who seem to have monetisation as their main agenda,” he said. “Since things such as the preview is given at no cost, it can be seen as individuals monetising privileges that they won,” Singh said. From a marketing standpoint, he said that brands conduct activities such as the preview to generate hype, or perhaps to reward a community of loyal fans. While the reselling of tickets could be indicative of demand and hype, Singh added that it shows a general excitement around attending the event. Not taking action could signal that some brands condone that some individuals could theoretically profit off their fans in an unfair way. “Brands therefore have to find balance in engaging and rewarding an intended community of fans, while keeping safeguards against non-fans who see such events as another opportunity to profit off a brand’s goodwill,” he said. Digi Telecommunications Sdn Bhd (Digi) is sponsoring 200 customers to participate in the WWF-Malaysia Earth Hour 2015 Night Walk i..